Primary school teachers in Kaduna yesterday embarked on an indefinite strike, despite the threat by the Kaduna State Governor, Nasir El-rufai, to dismiss teachers who are absent from their duty post. The Guardian visited major schools within Kaduna metropolis and observed that most of the schools were deserted, following the directive issued by the Nigeria Union of Teachers (NUT) Kaduna chapter to commence indefinite strike from January 8, 2018 over the state government’s insistence to sack teachers who failed its competency test. Pupils went back home, as teachers refused to teach them and classrooms were locked up. At the LEA Primary School in Kawo where pupils recently gathered to protest the sack of their teachers, the staff stood outside, while the classrooms were under locks. A teacher, Mrs. Hajara Katuka who was sighted exiting the school premises said they were complying with the strike action, following the state government’s insistence on sacking teachers, despite the interlocutory injunction from court, stopping them. There were no signs of resumption at Sabongari Primary School and Maiduguri Road LEA Primary school situated within the Kaduna metropolis.The crisis started when governor El-Rufai received a joint delegation of the World Bank and DFID at the Government House and told them that 21,780 out of 33,000 primary school teachers failed primary four exams. El-Rufai’s government in its own approach decided to go beyond assessment of teachers’ paper qualifications and conducted a competency test, with a view to ridding the primary school of incompetent teachers.A committee was setup with all the stakeholders represented, including the NUT, while the Secretary to the State Government (SSG) chaired the committee. SUBEB was given the responsibility of setting questions and administering the test to teachers across the state. The test was done in conjunction with the Teachers Registration Council of Nigeria (TRCN), while the leadership of NUT supervised the exams. When the result came out, the stakeholders met to look at the results and came up with a benchmark. It was at the point of agreeing on the cut-off mark that the government and the teachers’ leadership fell apart. While the NUT voted for 60 per cent, government officials insisted on 70 per cent pass mark. Subsequently, the NUT stood up in defence of its members, crying foul that, the governor shifted the goal post in the middle of the game, arguing that, the NUT, other stakeholders and the government had agreed on 60 per cent cut-off mark for the competency test. At a press conference addressed at the end of its emergency state executive council meeting, the state Chairman of the NUT, Comrade Audu Amba said the competence test upon which the state government based its decision to sack 21,786 teachers and employ 25,000 new ones was not professionally conducted and warned that, relieving such a huge number of teachers of their job would set the state “20 years behind”.NUT said the proficiency test could only be recognised if it is conducted by TRCN. The state insisted otherwise. However, barely a week after the warning, the National President of the Nigeria Labour Congress (NLC), Comrade Ayuba Wabba stormed Kaduna to lead a protest against the planned sack of the 21,780 teachers.They argued that government has no constitutional powers to organize such exam for teachers, saying only the TRCN has the mandate to do so. They therefore gave the state government two weeks to cancel the planned dismissal of teachers, or they will embark on an indefinite strike. But governor El-Rufai said anybody who has the interest of the education of the citizens of the state at heart, should be embarrassed by the failure of teachers who could not answer questions meant for primary four pupils. 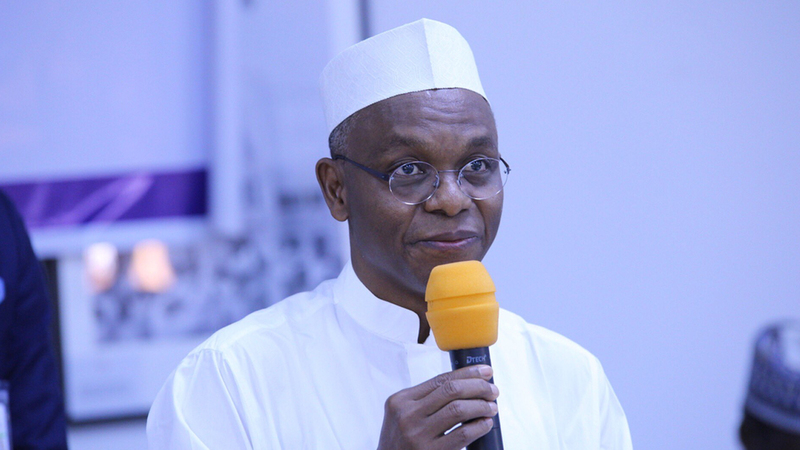 He said the Kaduna State Executive Council had approved the recruitment of 25,000 primary school teachers, stressing that, “this time around, there would be standardised tests for those to be recruited.’’SUBEB specified possession of the Nigeria Certificate in Education (NCE) as the minimum qualification. According to the notice, applicants are expected to have a certificate from the Teachers Registration Council of Nigeria.However, while the recruitment process was on, the NUT waited for the government to rescind its decision within the two weeks ultimatum it issued which expired yesterday.